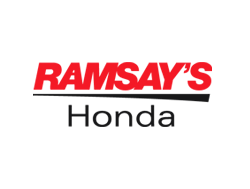 Ramsay’s Honda is your number one destination for a new Honda vehicle in Cape Breton. Of course, that’s not all. Ramsay’s Honda should also be your first stop if you are in the market for a quality pre-owned vehicle, or if you are a current Honda owner and you are looking for top-notch after-sales service. At Ramsay’s Honda, their clients’ satisfaction is very important to them, and they will do everything in their power to ensure that you are always satisfied with your experience at their dealership. At Ramsay’s Honda, you will find a complete inventory of brand new Honda vehicles offered at competitive prices with incredible special offers and low-interest financing and leasing. They believe it is as important to help you find the perfect new Honda vehicle as it is to help you save money on your new vehicle purchase. They also have a complete inventory of quality pre-owned Honda vehicles as well as pre-owned models from other top brands. Their state-of-the-art facilities offer a wide range of after-sales services including maintenance, parts and accessories, summer and winter tires, and detailing. Ramsay’s Honda will do everything in their power to ensure that you are well taken care of. Their team is always here to listen to your needs, and to help you in every capacity from the moment you purchase your new or pre-owned Honda to the moment you bring it in for servicing. At Ramsay’s Honda, they are there for you!